Whatever the many strengths of the Shostakovich, it was the terrific performance of Prokofiev’s titanic Second Concerto that will linger on in the memory. It is not a piece that comes out too often, for very good reasons: Valentina Lisitsa in 2015 was a bit of a casualty (review); no such words apply here for a master completely in charge of his instrument. 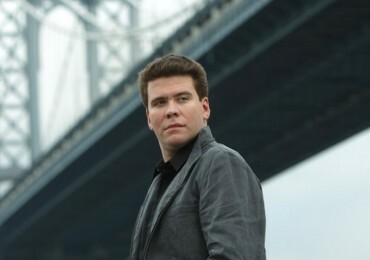 Denis Matsuev is rightly known for his power and technique (his disc ‘Tribute to Horowitz’ led to him being labelled MusicWeb ‘Newcomer of the Month’ in March 2005, when my review appeared). All of that technique is still there, as well as a massive sense of muscularity to his playing. Off-the-cuff, throwaway ascending gestures were simultaneously preternaturally accurate as well as glistening in the first movement (echoed perhaps in the gossamer glissandi of the third); Matsuev’s most notable achievement here was the huge cadenza, perfectly calibrated towards its climax.